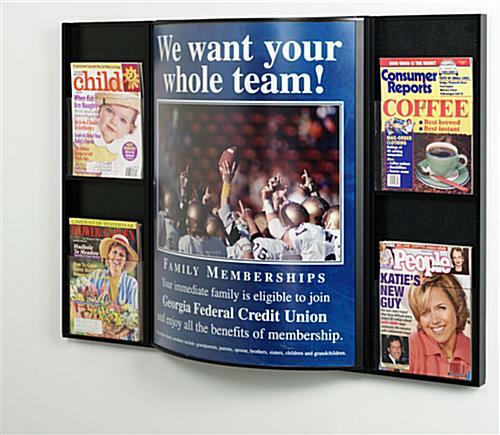 This Cork Board Is a Wall Display with Four Plastic Pockets for Holding Literature! This Cork Board Features a Curved Design for a Unique Bulletin Board Display! 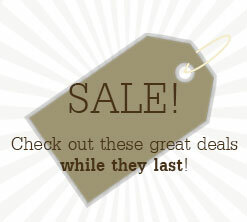 This Cork Board Is in Stock and Ready to Ship from CorkBoards2Go.com! 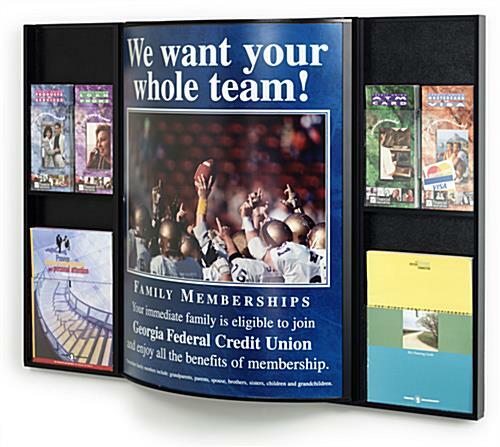 22"w x 28"h holder and four brochure holders fit on one 42" wide by 29.5" tall frame. Curved appearance and black acrylic trim matches most decors and environments. Corkboard underneath removable poster holder for alternate advertising option. 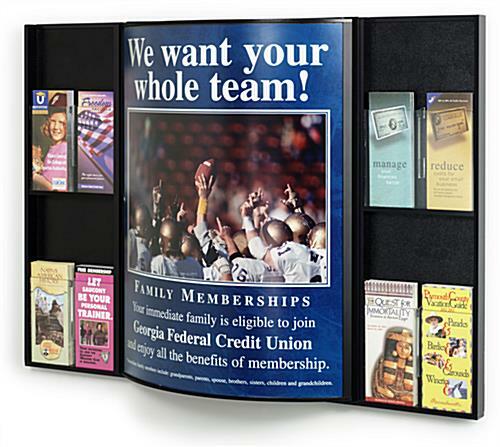 Information Center - Cork board with curved poster holder provides a modern appearance for exhibiting 22" wide x 28"high posters and likewise pamphlets. There are two clear pockets on choice of side of the poster holder (4 total) which can be utilized to contain your flyers or magazines. Utilizing the provided clear divider tabs, you can configure the pockets to accommodate brochures in lieu. 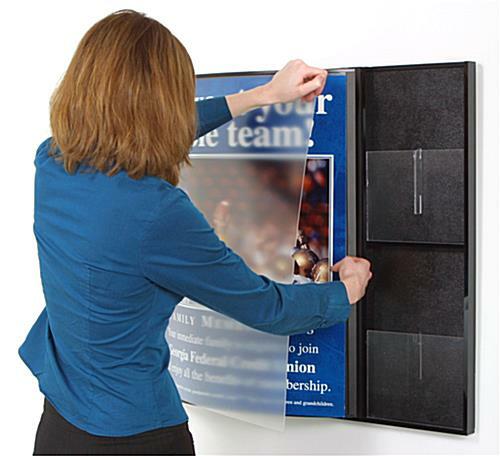 The cork board incorporates: 1" of black accent trim on each side of the poster location and a non-glare acrylic front which minimizes light reflections, which is removeable for easy poster changes. You can also opt to slide the poster holder out and expose the provided cork board in lieu.